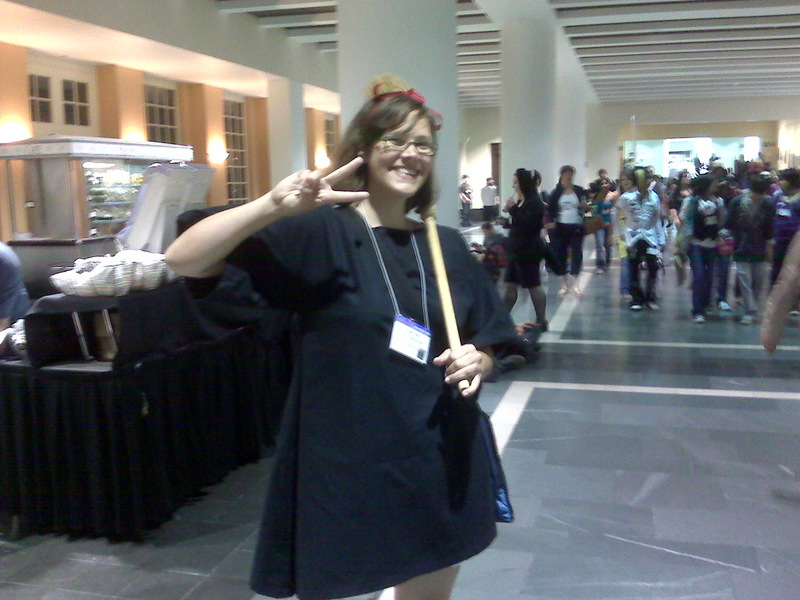 Photos from Otakon 2012, last weekend at the Baltimore Convention Center. 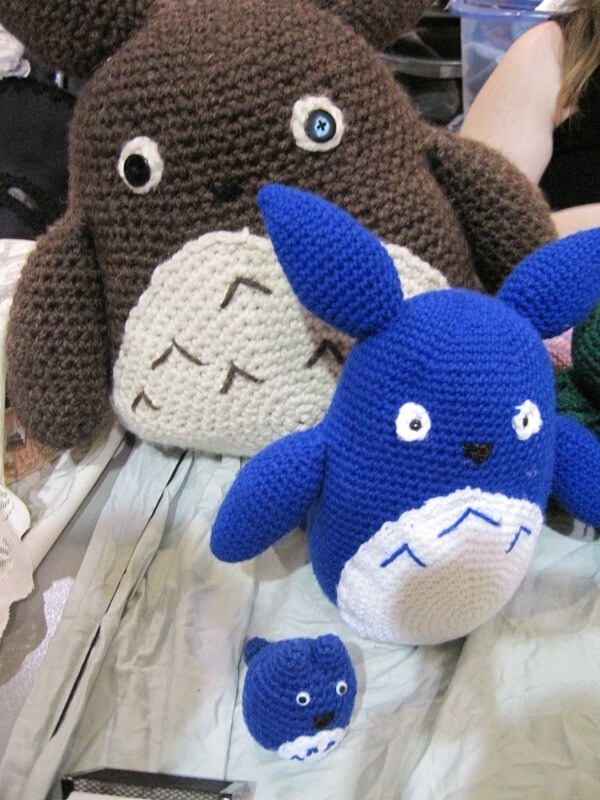 There’s never a shortage of Totoro crafts at Anime Boston! 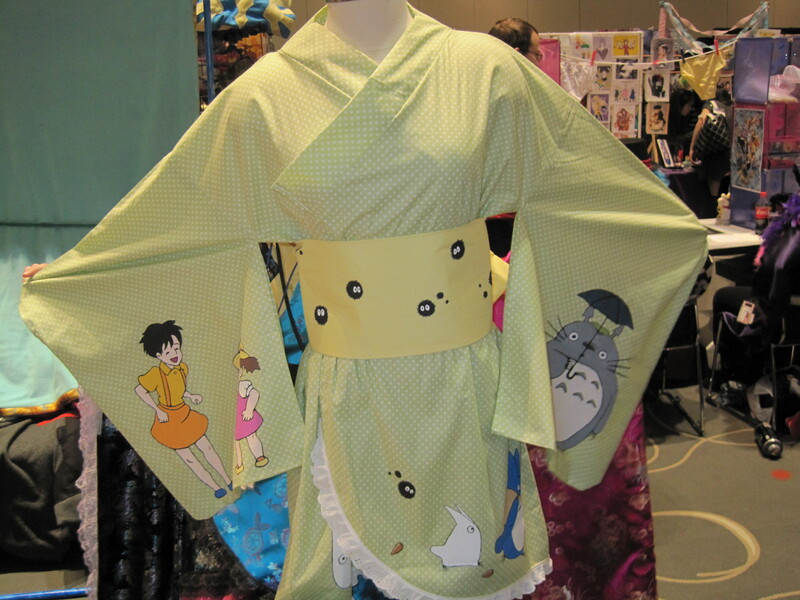 This years DIY Miyazaki highlights are featured below: A hand-painted (and home-sewn) kimono by Hanabi Kimono, and plushies by Sam and Rae Crafts. Handpainted on gingham nursery cloth. Note the soot sprites on the belt! Wonderful flair on the left hip. All of them eminently huggable. Why yes, the advent of anime con season has got me a little more anime-obsessed than usual! So it’s not surprising that this week’s Jentasmic! at StudiosCentral encourages Disney fans to explore the works of Hayao Miyazaki. Disney has released several Miyazaki films, including production of the English dub tracks, providing a real service to those of us who frequently introduce others (especially families) to anime. Whatever I might write here about the ongoing devastation in Japan, the situation will have changed by the time you read it. All I know is that I think of the Japanese rural areas affected by the quakes, the tsunamis, the radiation releases, and I can only imagine Totoro weeping. My Neighbor Totoro is a sweet film about two girls living in rural Japan, their parents, and the forest spirits who watch over and protect them. Nothing happens quickly in this film, and nothing should. It is a meditation on love, on family, and perhaps also on animism, one of the basic principles of Shinto, a significant religion in Japan. It tells a story about fear, and love, and joy, and being comforted and helped by spirits that perhaps nobody else can see, or understand. 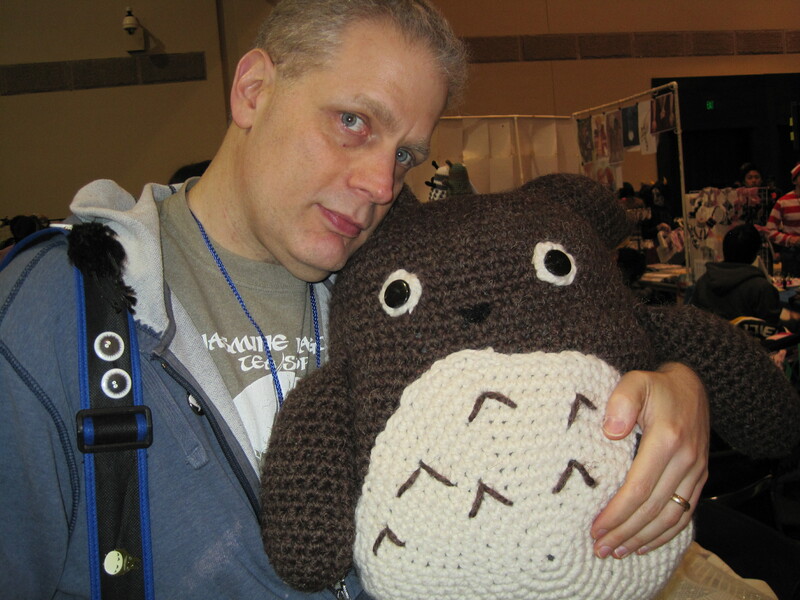 Totoro may not be the sort of spirit one would pray to for intervention. While he occasionally does step in to save the day, he’s more the type to give quiet comfort, to roar and fly and pull full-grown trees quickly from the ground. He’s whimsical, and childlike at times. Umbrellas confuse and delight him. He doesn’t always seem to understand how large he is (look how he tries to protect himself from the rain in the movie poster pictured here). I’ve heard from a couple friends in the Tokyo area, and they both tell the same story: Stranded after the earthquake, impossibly long walk home, difficult logistics, continuing aftershocks, new challenges. And the situation in Tokyo doesn’t compare to the level of devastation nearer the epicenter. 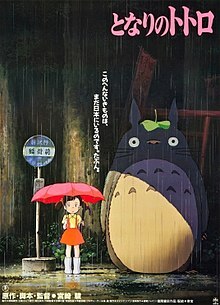 I think of Totoro, and his quiet comfort, and I hope something like that is with the people of Japan today. Doing anything August 14, 2009? Well, if you’re in the US you could do worse than to go Ponyo, the latest Hayao Miyazaki film, just announced for release in US theatres that day, distributed by Walt Disney Pictures. If you’ve read much about John Lassiter, you probably know already that Miyazaki has been a huge influence on him. And if you’ve watched a single Miyazaki film, you know the animation is stunning, the storytelling superb, and the cultural references often a tad confusing for American audiences (I had to watch Spirited Away a couple times before the Shinto really started to sink in). Hat tip: Blue Sky Disney. 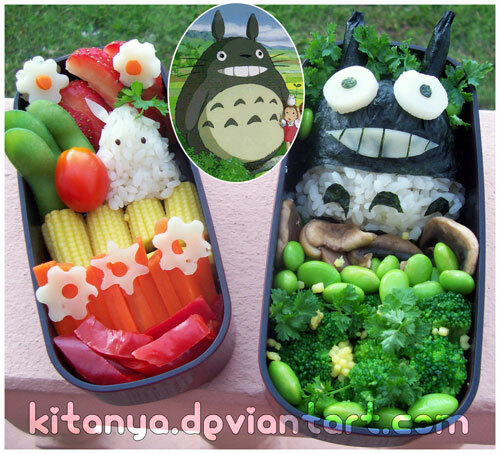 Can you imagine opening up your lunchbox to find this grinning Totoro? I’m not sure I could eat it! It’s too super-kawaii! Lots more cute Bento are at Ai Bento. Hat tip: BoingBoing. 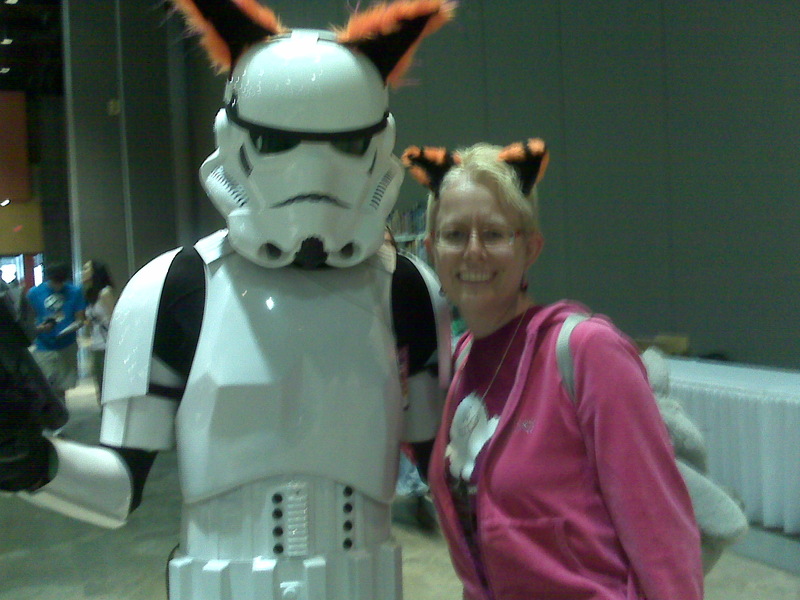 I met this awesome kitty-eared Stormtrooper at ConnectiCon, where members of both Alderaan Base and the 501st New England Garrison were out in force, with plenty of Star Wars costuming goodness from both sides of the Force. The dashing fellow even had a long, orange tail to match. 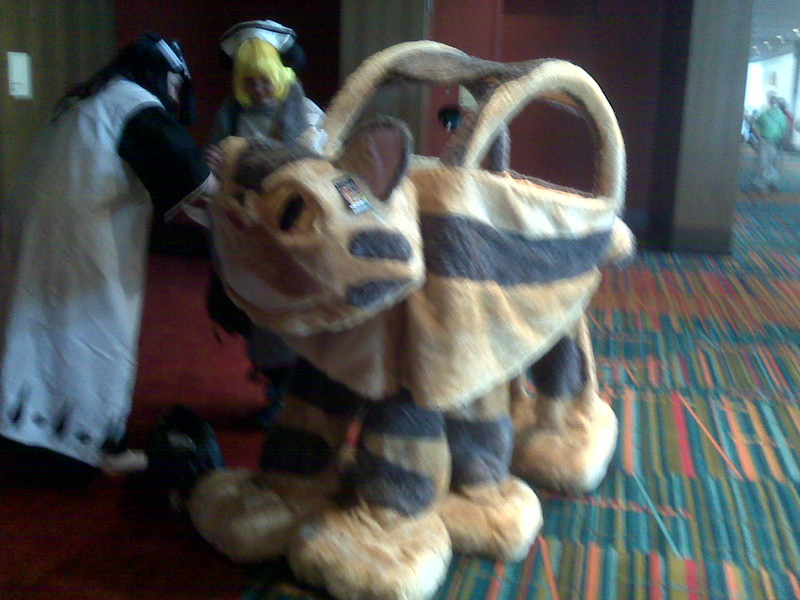 There appeared to be just one person in the Catbus costume, which must have made for rather back-breaking locomotion!